Singapore calendar for the 2020 Year in English. Download 2020 calendar. PDF vector format perfect for printing. 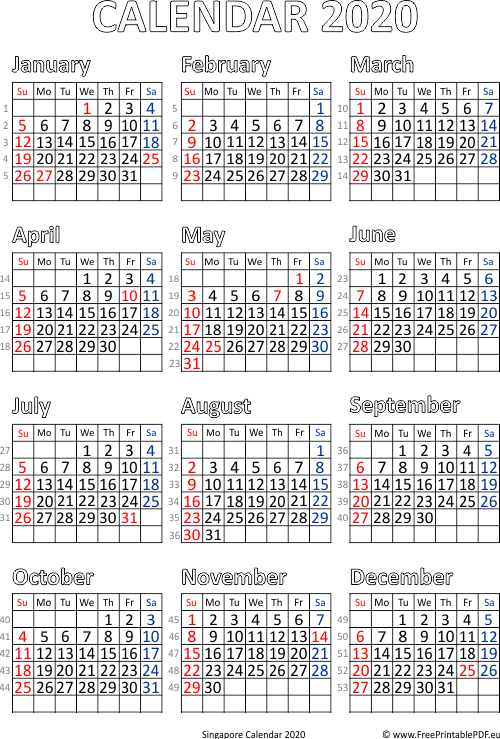 Print Singapore calendar with holidays 2020 and numbers of weeks for free.